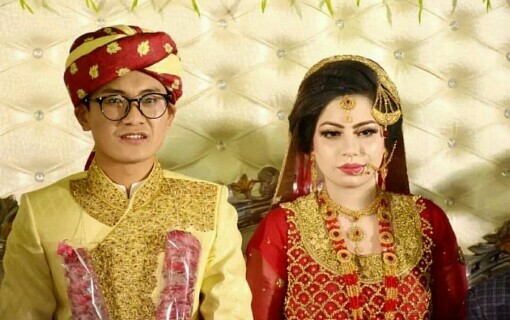 Weddings with foreigners has been the IT thing of the season. 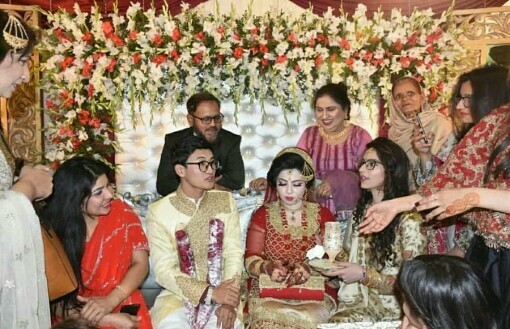 Many across the seas love stories happened and we saw many Pakistanis marrying foreigners this wedding season. 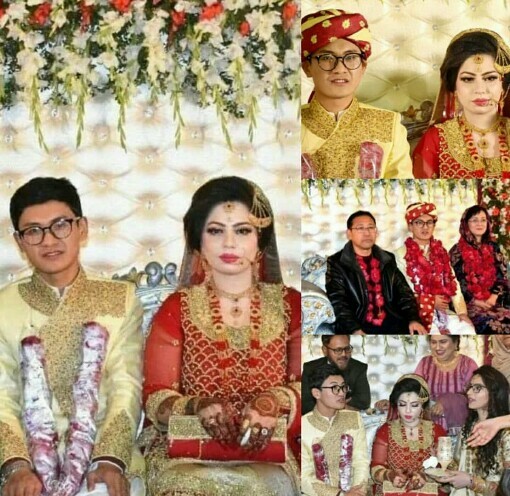 Another such romance has reached the wedding stage and this time it is a Chinese groom who married a Pakistani girl. 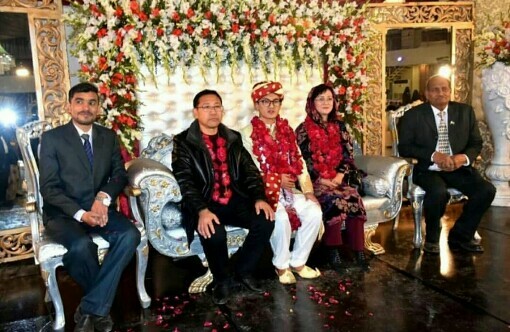 The groom Xu Long married the Pakistani Fatima in a traditional Pakistani ceremony.